(Natural News) A set of innovative filters were found to eliminate up to 99 percent of heavy metals in contaminated water. The filters, produced in a Rice University laboratory, was developed from carbon nanotube materials that were grown in place on chemically-epoxidized quartz fibers. Lab findings showed that the filter was able to absorb more than 99 percent of metals from water samples contaminated with heavy metals such as cadmium, cobalt and copper as well as mercury, nickel and lead. According to the scientists, one gram of the material could treat 83,000 liters of contaminated water in order to meet World Health Organization (WHO) standards. This was enough to provide clean water for 11,000 people on a daily basis. The research team also noted that scaled-up versions of the filters can treat up to five liters of water in less than one minute and be renewed in 90 seconds. In addition, the filters were able to retain 100 percent of its capacity after treating up to 70 liters of water per 100 grams of the material. Once the filters get saturated, can be washed with a mild household chemical like vinegar and reused, the researchers added. “Every culture on the planet knows how to make vinegar. This would make the biggest social impact on village-scale units that could treat water in remote, developing regions. However, there is also the potential to scale up metal extraction, in particular from mine wastewater,” chemist Andrew Barron told ScienceDaily.com. 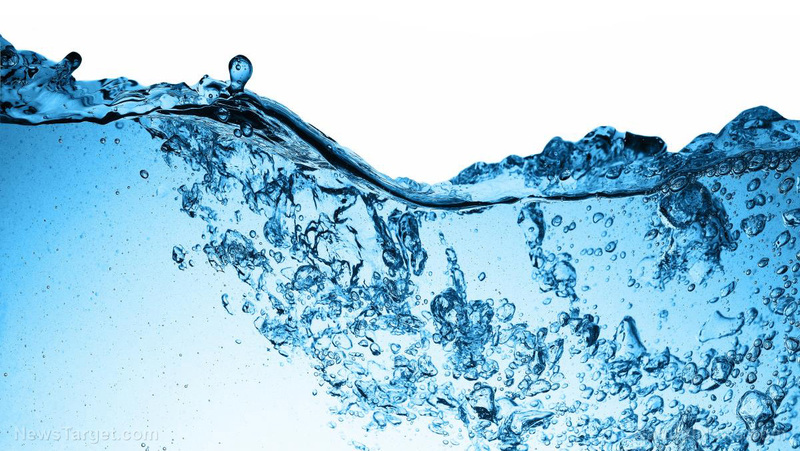 The recent material is the only recent addition to the nanotechnology industry’s growing number of innovative projects designed to improve water quality. Just this year, a team of researchers designed spherical microbots called Janus designed to kill harmful bacteria and other microorganisms in the water. The spherical, “two-faced” microbots were made up of magnesium on one side and alternating layers of gold and iron topped by silver nanoparticles on the other. The magnesium face was made to generate hydrogen bubbles upon contact with water. Because of this reaction, the microbots are propelled around contaminated water. On the other hand, the researchers noted that the water-borne bacteria will stick to the alternating gold and iron face, which would then be killed by the silver nanoparticles. The research team then examined how the microbots will do in a lab setting. The analysis showed that the nanobots could “swim” around the contaminated water for 15 to 20 minutes before the magnesium-containing side gets spent. Likewise, the scientists noted that the technology was able to trap more than 80 percent of E. coli bacteria. The microbots have magnetic properties, which were largely due in part to their iron content. As a result, the nanobots could be easily removed from the water using magnets, but will not leave behind any potentially harmful components. “Water contamination is one of the most persistent problems of public health. Resistance of some pathogens to conventional disinfectants can require the combination of multiple disinfectants or increased disinfectant doses, which may produce harmful byproducts. Here, we describe an efficient method for disinfecting Escherichia coli and removing the bacteria from contaminated water using water self-propelled Janus microbots…After capture and extermination of bacteria, magnetic properties of the cap allow collection of microbots from water along with the captured dead bacteria, leaving water with no biological contaminants. The presented biocompatible Janus microbots offer an encouraging method for rapid disinfection of water,” the researchers said in an article posted on the American Chemical Society‘s website.